"Katie" is the ringleader and always up to mischief. This little lady has heaps of attitude. "Katie" is a true red/tan with all the correct markings. 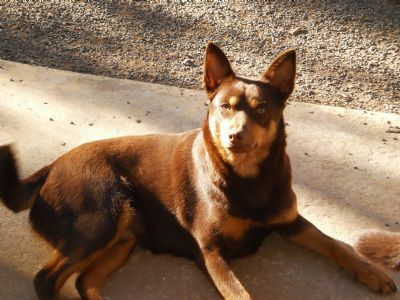 They cannot be chocolate and tan as this is not the correct colour for the Kelpie Standard. 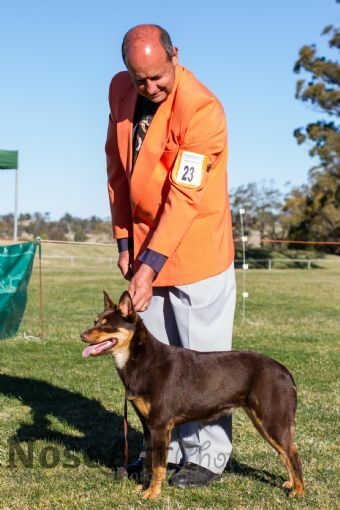 True red/tans have red noses and the coat is red with the tan markings including the pencil marking on the toes. Katie is a sister to our Timmy who is also a true black/tan. Thank you to Cass Finlay from Ringbarka Kelpies for letting us use "Jet". 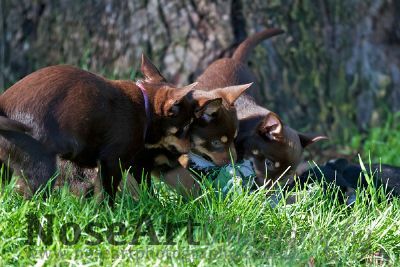 Thank you to Jaime and Brendon NoseArt Photography for all the lovely photographs of the puppies.